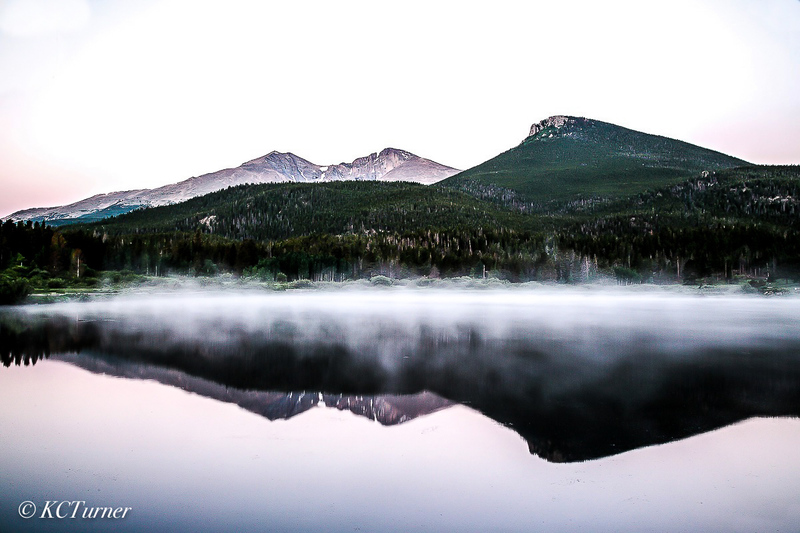 Lily Lake offered this gorgeous early morning sunrise reflection of Mount Meeker (left) and Longs peak (center) that I photographed while on a photo shoot in Rocky Mountain National Park, Colorado. At 14,259 feet above sea level Longs Peak, surrounded by incredibly photogenic scenery, never fails to deliver awesome landscape photo ops. Photo © copyright by K.C. Turner.